Not really, removed and remounted my Macho multiple times a few days ago, never took me more than a minute. Just line everything up, put the screw on the long magnetic screwdriver that came with it and lower it into the hole, then tighten. Done. Guys, how does the LGM RT mount on consumer CPUs? I'm asking this because the coldplate is 40x53 and the CPUs are 40x40~. It goes centered and it has 6.5mm at each end, or it just align to one of the sides and goes off 13mm? Con any1 give me some insight about this? @doyll ? I'm not sure about it, but i think the coldplate on this one is flat. If the ryzen 3000 has the heat more spread across the IHS due to the new chiplet design, i'm expecting to see some crazy good results with this cooler. Last edited by Shenhua; 04-13-2019 at 08:28 AM. Normally the mount centered cooler base over CPU IHS. It is matx z270 board, no issues. I have some experience with mountaing various thermalright coolers, but fitting that thing while board is inside matx case = pain. When it comes to pros of the cooler, fan mounted pretty low, blowing through m2 nvme drive and board vrm is always nice, previously used noctua U12s, small 120mm heatsink, and there was zero air movement around mobo pcb with this thing. 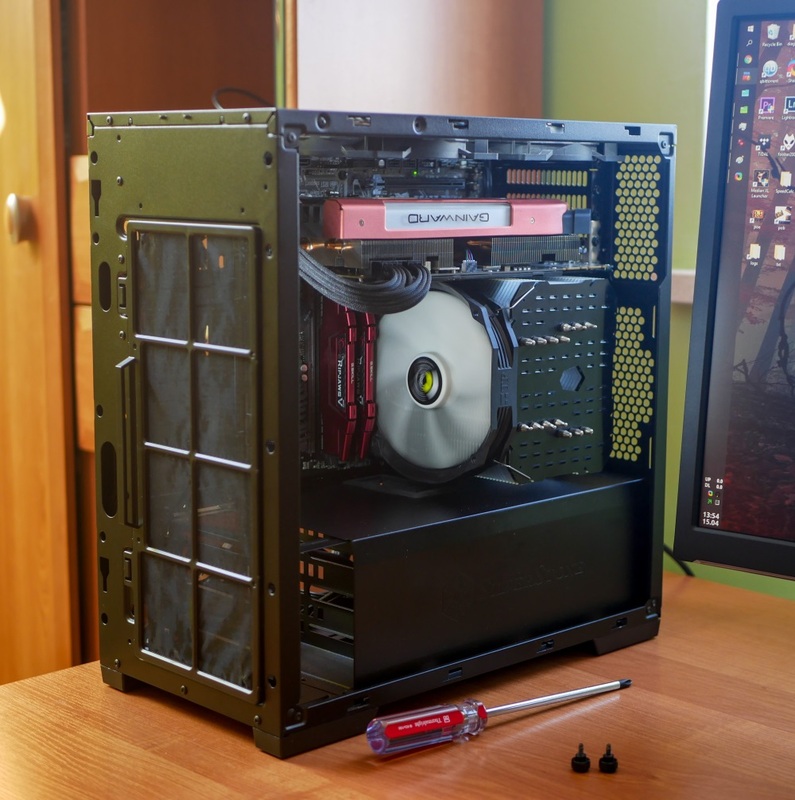 Overall cooler does what macho does best, performs at low rpm, heatsink has very wide gaps for low static pressure air to go through, thats also why it works so well in pure pull configuration when fan is mounted at the rear panel, through air duct. Hi aerial! Haven't seen you posting in awhile. Nice looking rig. Kinda surprised you had problems mounting cooler. I usually have someone give me a hand to hold cooler in place so it doesn't tip over backwards, then position crossbar and use magnetic tip of screwdriver to hold screws as I place and start them. A few times when I didn't have a 3rd hand I've used a spacer to hold back of cooler from tipping while I got crossbar and screws started, then remove spacer. This cooler is very bulky and if you work in tight space it can get quite annoying. Mountaing mechanism is pretty oldschool as well, they figured how to make universal mount with same parts, so I guess that cuts costs, but compared to for example noctua, which has nice captive threaded screws with springs, its night and day when it comes to mountaing it. I find the fan clips more of a challenge than cooler mount. Sure, spring loaded captured screws like Noctua use would be nice, but magnetic screwdriver really does solve the problem quite nicely. Fan clips are a big more challenging. 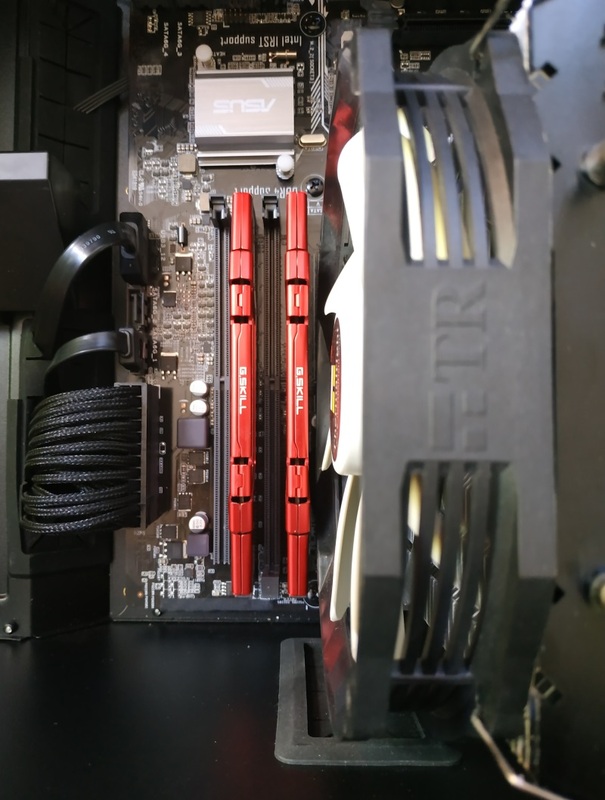 I've found it best to attach clips to cooler first (before even installing cooler), than clip one side onto fan while tensioning fan toward other side to hold first clip in place and postion fan to clip other side. Being/going old school (having learned to 'practice/trial-assemble before actual install) only adds a minute or two to build and often eliminates the potential for all kinds of unforceen problems. I see Thermalright China has released a new version of Le Grand Macho RT. Le Grand Macho RT Rev. B with TY-147BP 600-1800rpm 33.98-90.96cfm, 0.32-3.00mm H2O fan (instead of 1300rpm fan). Last edited by doyll; 04-15-2019 at 10:09 AM.